MeineKraft is a realistic themed 64x texture pack for Minecraft and contains photo-realistic and cartoon-styled aspects. The textures, originally made by Honeyball, have been developed and updated by many fans of this pack in the past. With the help of these fans, this texture pack is kept alive since it was originally discontinued after Minecraft 1.4. MeineKraft LitWR Edition is a community continuation of MeineKraft. Merlinmo and ACGaming create textures for various mods to enhance the feel of Modded Minecraft with this texture pack. Click here for the AFTER HUMANS Edition! Want all mods? Try MeineKraft Modded Universal! This is a fanmade edition of the discontinued texture pack MeineKraft by Honeyball. 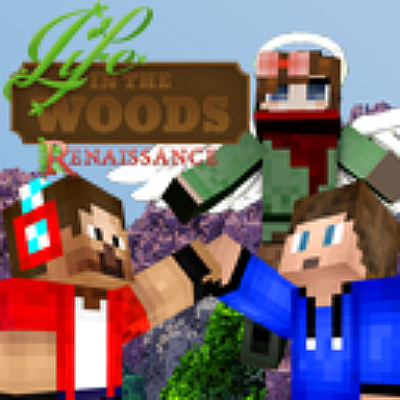 It supports mods from Life in the Woods Renaissance and mods used in Gronkh's Let's Play series as well.